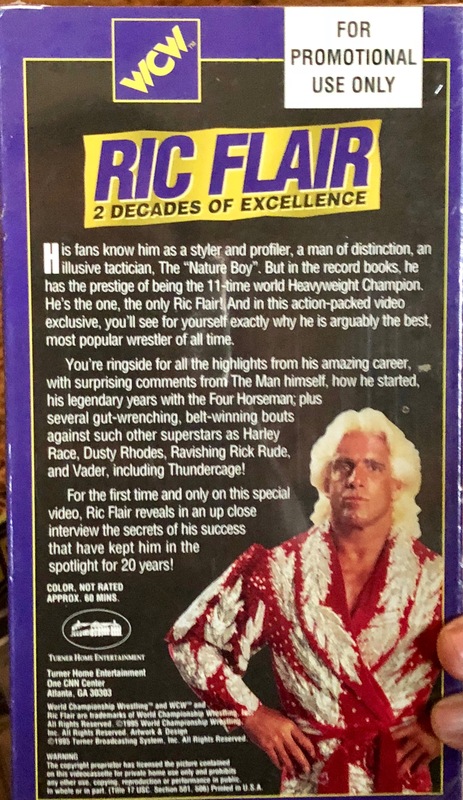 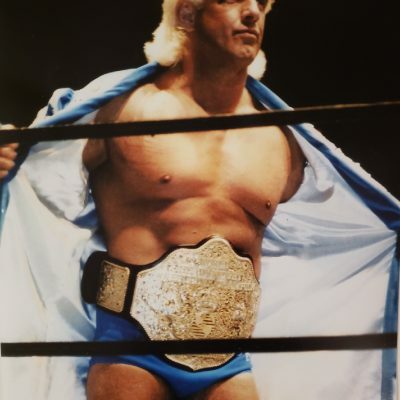 This very rare VHS tape is promotional use an only copy of “Two Decades of Excellence” Ric Flair A great piece of Nature Boy’s history for fans to add to your Ric Flair collection. 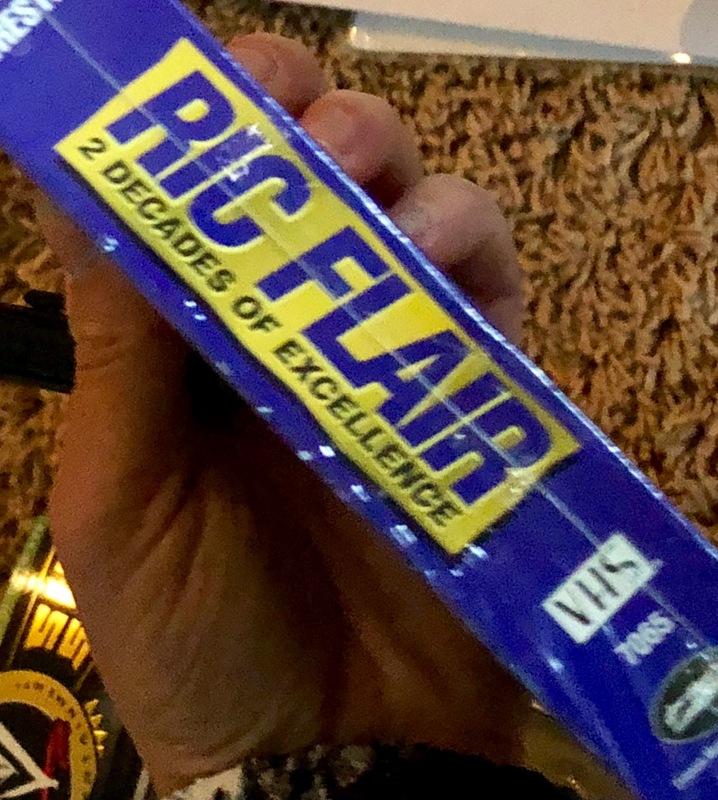 It is still in the original wrapping so we don’t even know what is on there. 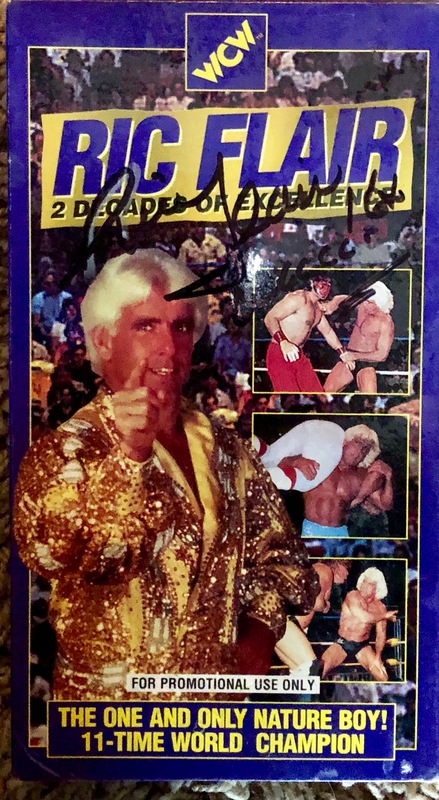 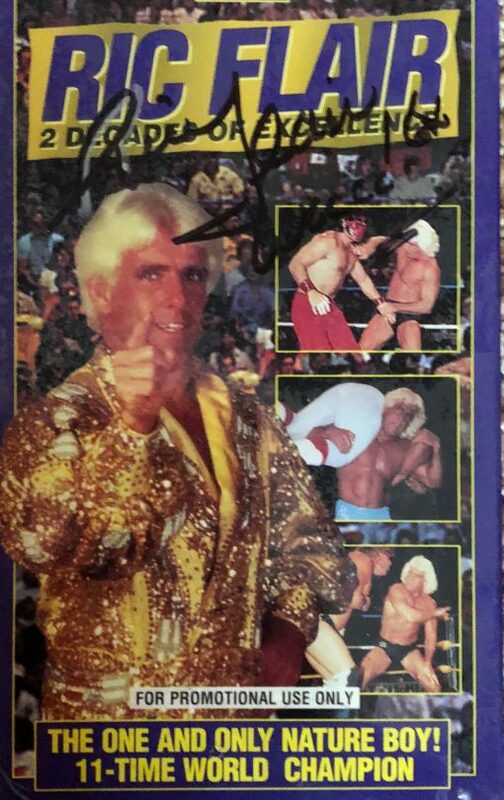 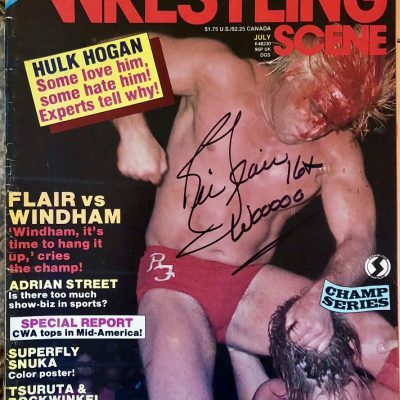 It is signed on the outside of the wrapping by Ric Flair, so if you are buying as a collectible (and don’t have a VHS player), we would recommend keeping it wrapped up.